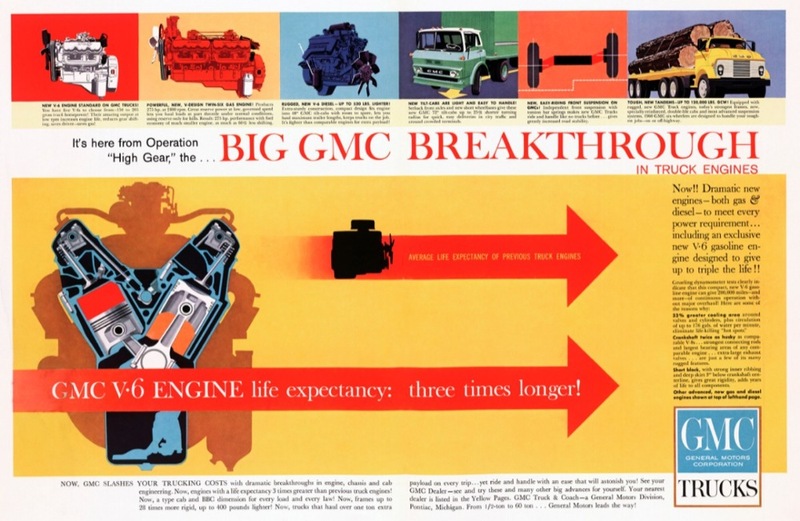 While all truck-related attention today is on General Motors’ launch of the all-new 2014 Silverado and 2014 Sierra, let’s take a trip down memory lane and pay the 1960s a visit — when GMC, then an individually-functioning division (rather than a brand) of General Motors, debuted the first V6 pickup engine in history, and one of the very first V6 powerplants produced by an American company. 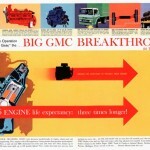 The unique 60-degree six-banger, offered exclusively by GMC through most of the ’60s, started at a displacement of 5 liters and made 220 lb.-ft. of torque and 120 horsepower… compared to the 305 lb.-ft. and 285 horsepower, and undoubtedly much higher fuel economy, produced by the new 4.3 EcoTec3 V6. 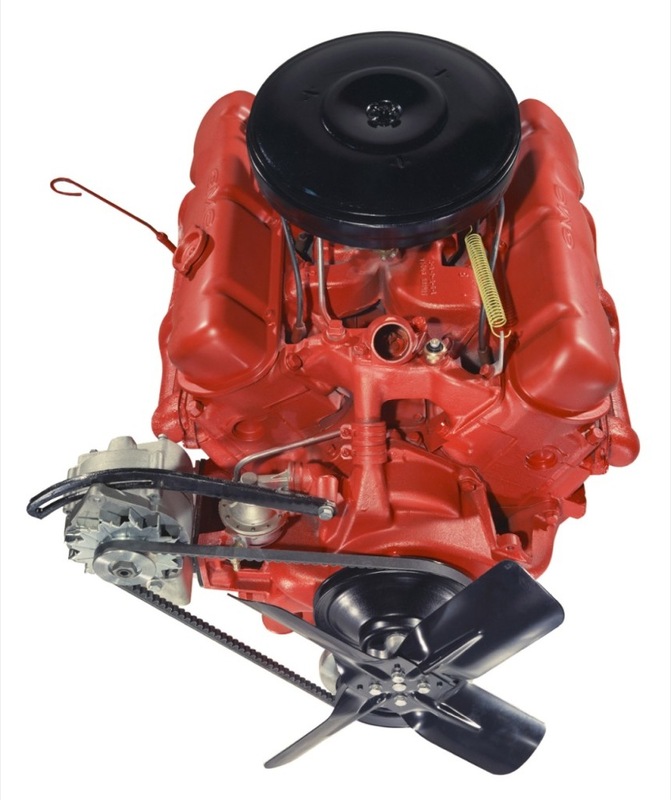 GMC’s 1960s-era 5.0 V6 featured aluminum pistons for improved cooling as well as a stout crankshaft and bearings designed for superior durability. 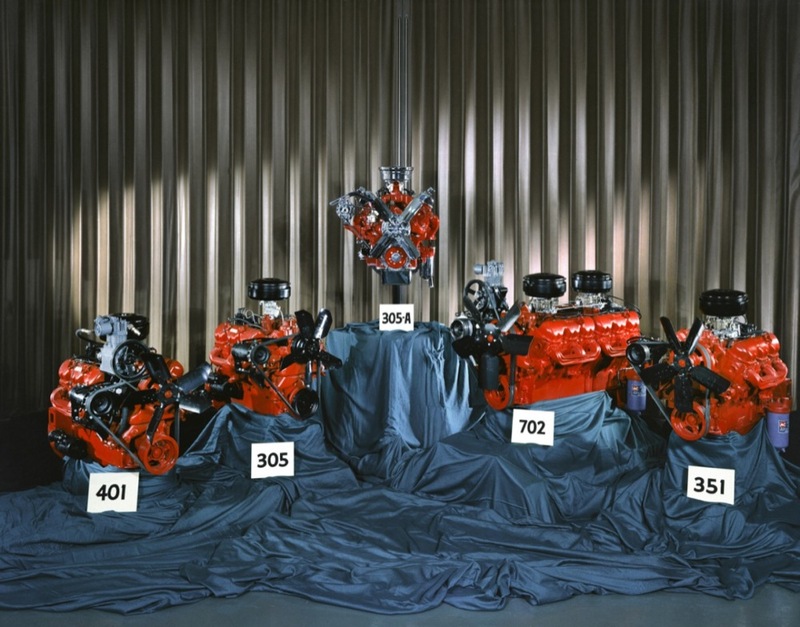 The engine was available in various sizes of displacement, including 5.8L (354 cubic inch), 6.6L (403 cubic inch) and 7.8L (476 cubic inch) versions, later spawning a 7.1L (433 cubic inch) variant with enlarged crankshaft journals and a 10.4L (635 cubic inch) 60-degree V8 with twin balance shafts using the same general architecture as the 305. There even was a monstrous 11.5L (702 cubic inch) “Twin Six” V12 which was basically two 5.8s placed end-to-end with a common block and crank. A diesel-burning version was called the ToroFlow. Sounds a lot like the new (and oh-so-torquey) base 4.3L EcoTec3 V6 engine in the 2014 Silverado and Sierra, doesn’t it? I wish I had a dollar for every 305 V6 I changed oil in. I also loved the warranty engines. GMC used they put plaid valve covers on them. Today collectors highly prize them. We get customers with the 12’s today as they love to get these and but them in street rods. Not fast but they may a good reliable and cool looking engine. Now if GM could have adopted this smoother 60 degree design for use in the 70’s fuel crunch years instead of bringing Buick’s rude crude uneven firing 231 V6 think how many more happy customers they would have had up to the throughout the years. Were these engines used in their light duty vehicles or just medium & heavy duty? I’ve never heard of this engine line. 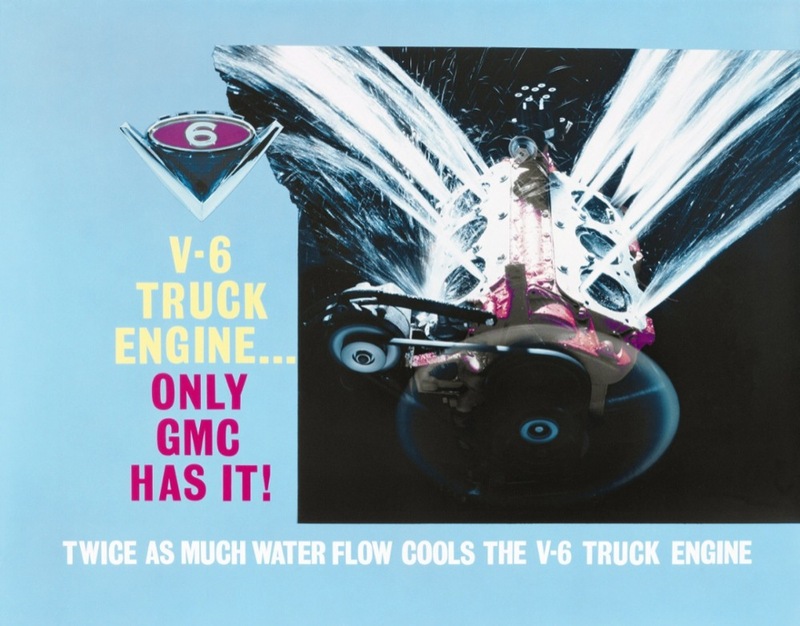 I thought GMC just used Chevy engines. In the 50’s they also used Pontiac & Oldsmobile V8s. GMC advertises “Professional Grade” and they are just rebadged Chevrolets but 50-60 years ago they actually were professional grade compared to Chevrolet. That would be nice, if GM could afford that again. We now have less innovation and individuality between brands. I believe that was one that someone had custom made. The GMC trucks did not have the option of the double chrome lines on the custom cabs. 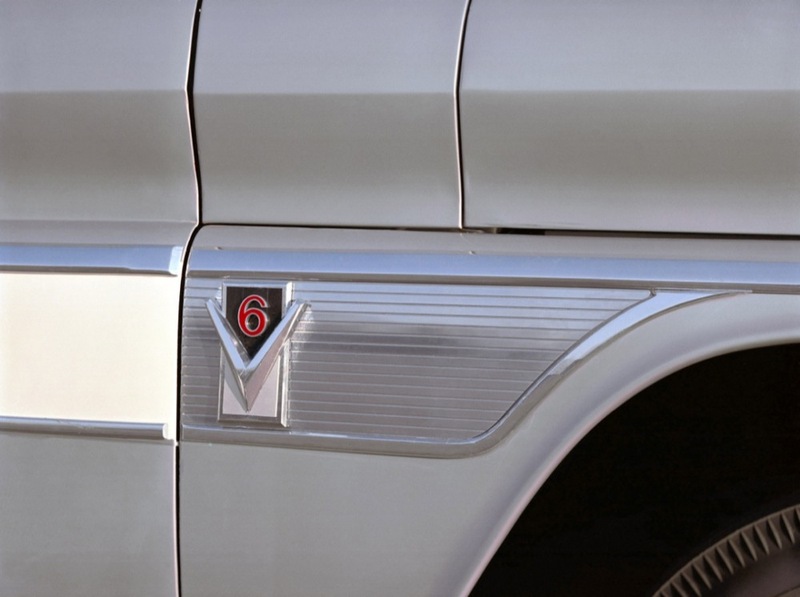 Those were on Chevy Trucks only, the GMC offered a single chrome strip down the side of the body and this came with a chrome V-6 logo for the hood instead of the standard painted one. 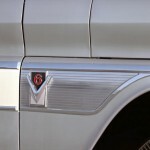 I, too, am intrigued by the fender emblem. It definitely looks like a prototype GMC factory emblem. Does anyone know where this photo came from? 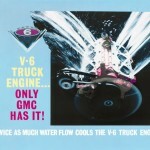 I’d love to see some concept photos of the 60-66 GM trucks. Actually the writer has some of the displacements wrong. 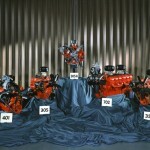 The other sizes besides the 305 were 351, 401 and 478. Later, the 478 crank was used in the 351 to produce a 379 and the 401 with the 478 crank was a 432. 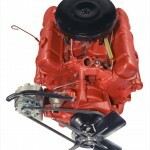 There were diesel versions of the 351 and 478 as well as the V8 version of this engine at 637 cubic inches. The 637 replaced the V12 in 1966. These were a way overbuilt and designed engine that is probably the most heavy duty gasoline engine ever produced. I am fortunate enough to have collected a few and owned several more over the years.